The trip from Lake Tekapo to Te Anau was long, but scenic. 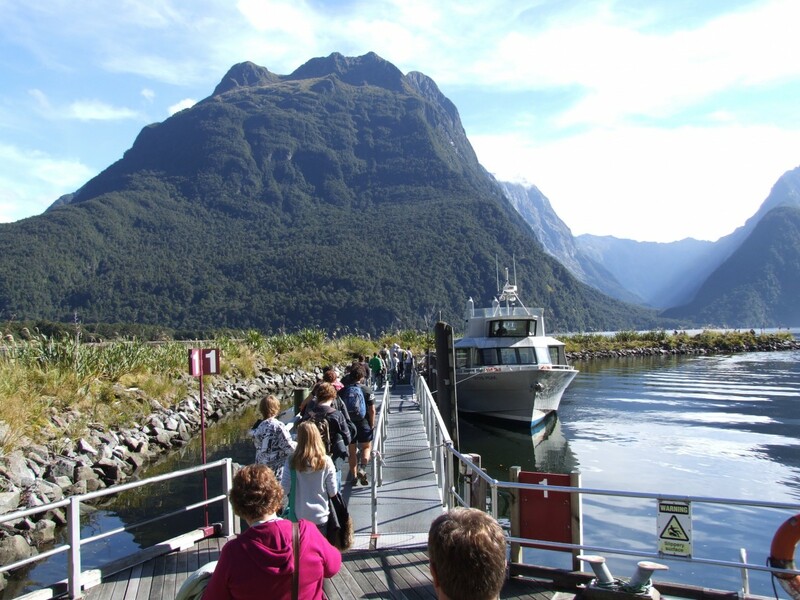 We stayed overnight in Te Anau, then drove up to Milford Sound the next day. 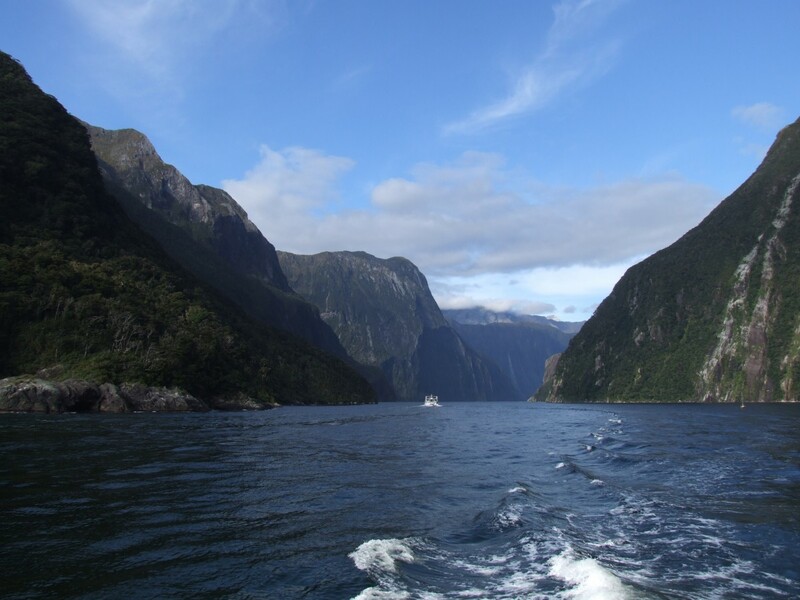 We took a nice long cruise up the sound/fiord all the way out to the Tasman Sea and back again (apparently the closest part of NZ to Australia). The next day we drove back to Queenstown - our final stop in NZ (for us kids anyway, Mum & Dad are flying to the north island after this). 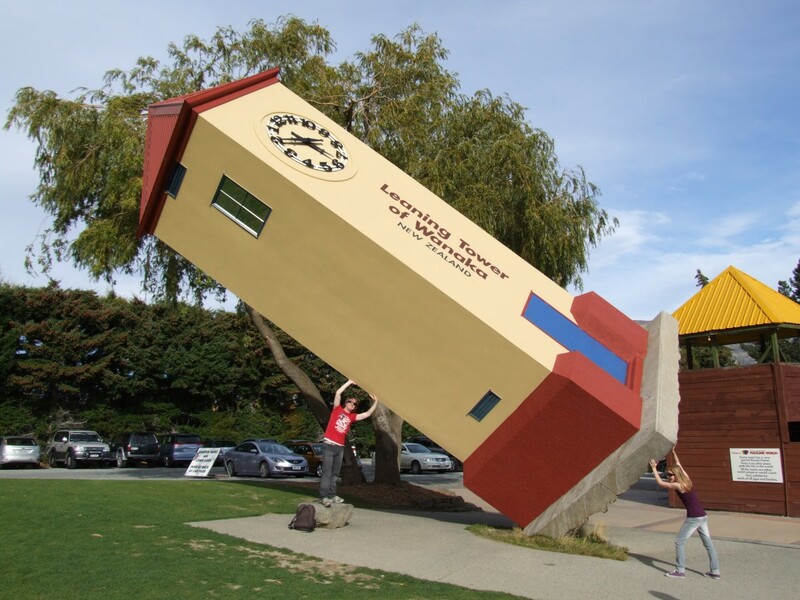 Not much happens when we spend all day driving, so I'll skip to yesterday when we went out to Wanaka to visit Puzzling World. 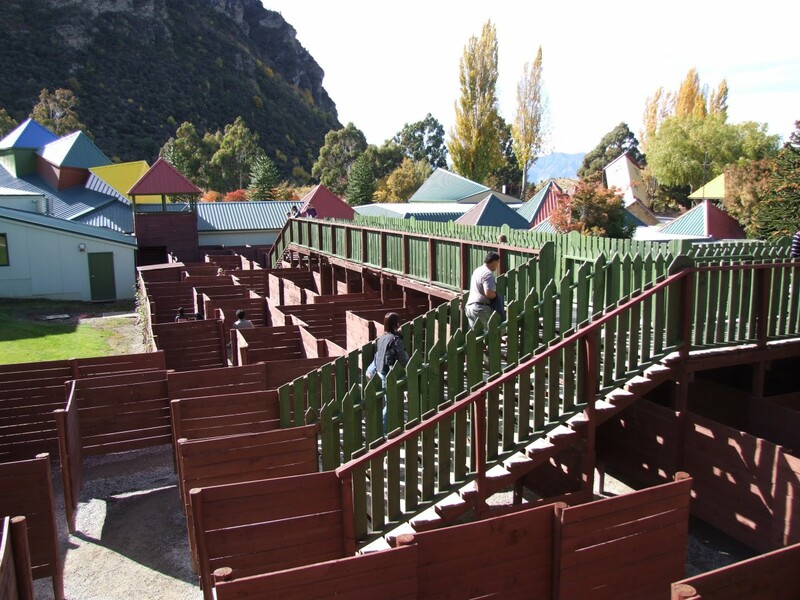 It has a 2-storey maze with 1.5 km of walkways, and which took us about 1.5 hours to complete. It also has an illusion room which was amazing, and I bought a souvenir - a backwards clock! Dad, Becky and I then went to Wanaka's shooting range where Becky and I shot a rifle for the first time (her first shot was a bullseye! ), and I did some archery. Today we're going on a jetboat up the Shotover River, flying in a helicopter, riding a luge (like a toboggan), having a gondola ride and going bungy jumping! Better get going! Bye for now.